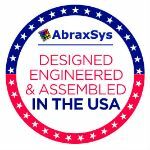 AbraxSys recognizes the importance of private labeling which many Original Equipment Manufacturers (OEM), Value Added Resellers (VAR) and traditional resellers require. Whether it’s one system or 100 units, having the ability to acquire quality products from a reliable company with the assurances of private labeling is an important decision maker. 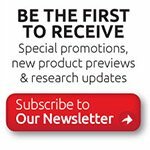 Your company has established itself with your customers as a reliable source of a unique process, product or service. And as such, it becomes vitally important to retain product recognition and your established definitive name recognition. Your customers depend on you to deliver quality products with your label. AbraxSys understands this. We’re here to help. We can also “drop ship” from our facility directly to your customer with definitive notation of your organization as the ‘shipper’; AbraxSys will not be mentioned. Contact an AbraxSys associate to discuss your product and labeling needs.